This is a versatile design with lots of details and re-usable single motives ! You can stitch single fairies as little gifts, and even exchange the “people” ( read: Fairies…) for flowers, if you are not into this sujet ! 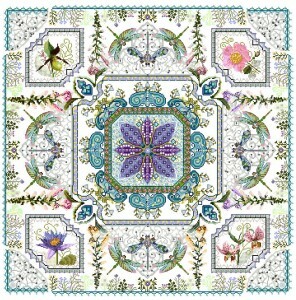 The lacy base of this design adds to the delicate looks – you will use sparkling threads, silks, variegated threads, beads and sparklies to create an embroidered picture of mysterious beeings…. 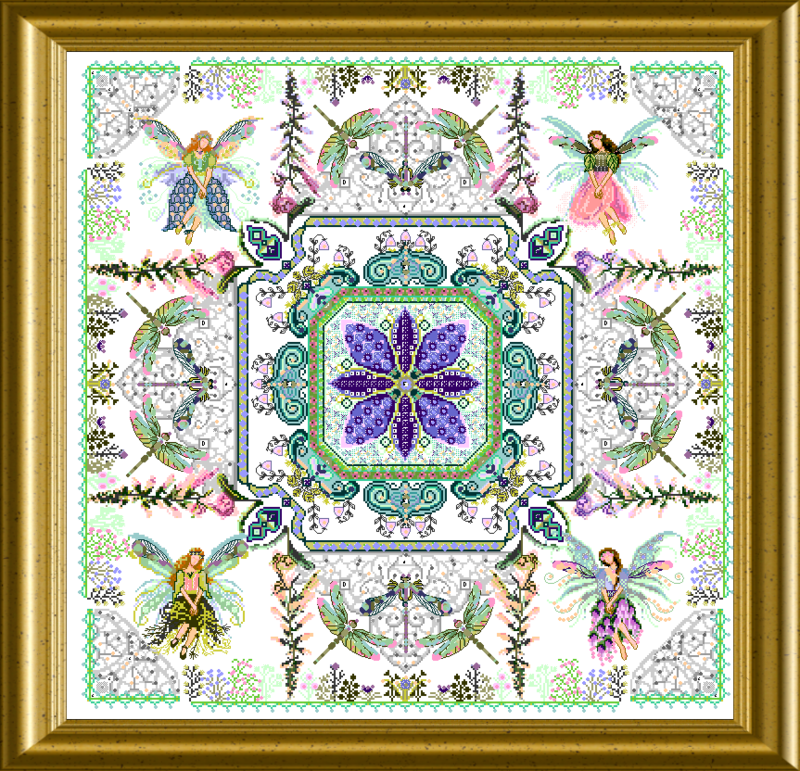 Can I buy The Fairy Flowergarden Mandala exchange Fairies for flowers? 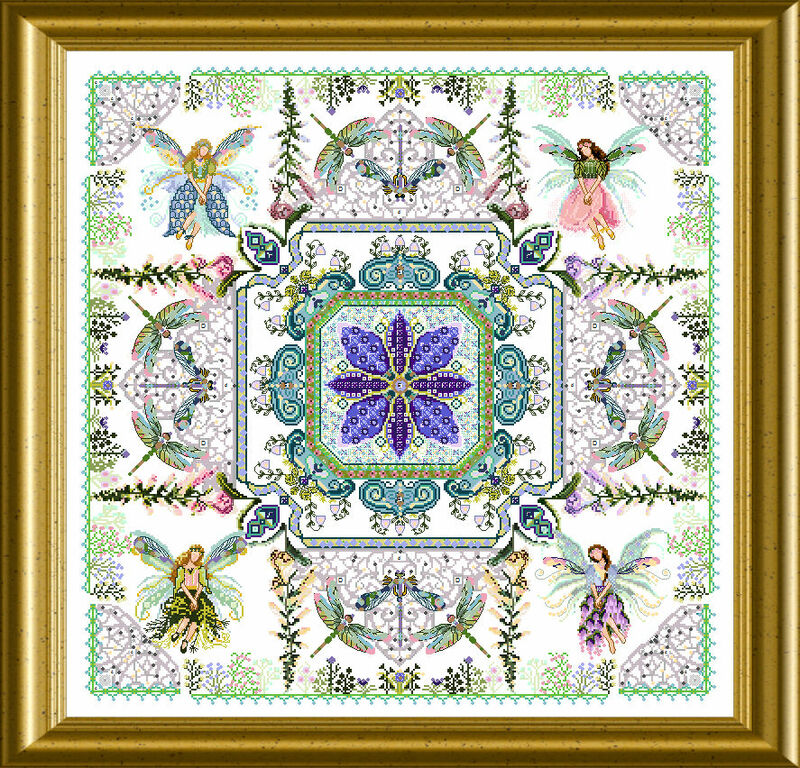 You need to purchase BOTH designs – the Fairy Flowergarden AND the replacement flower corners. 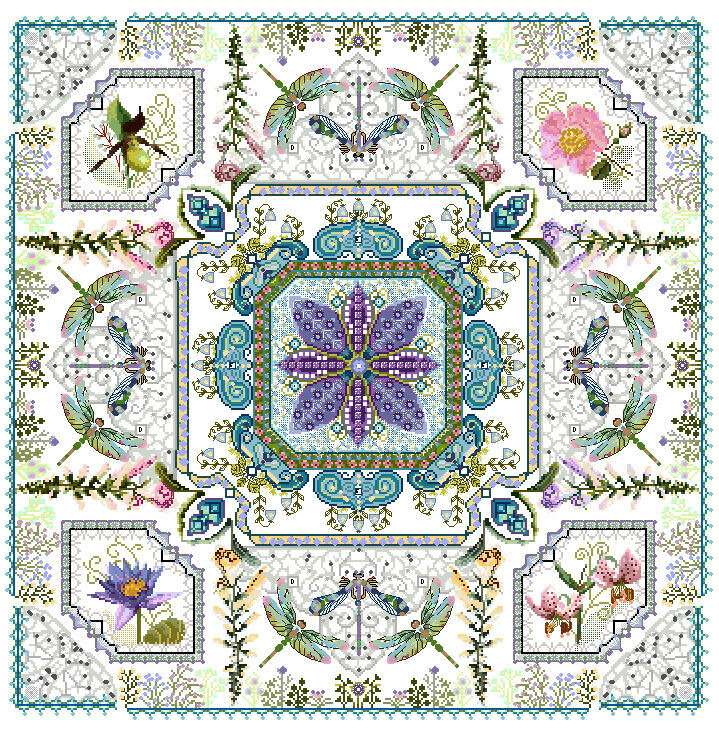 Posso comprare The Fairy Flowergarden Mandala scambio Fairies per i fiori? Here are links to both designs -choose which one/-s you prefer.